Yokoso to Sapporo! 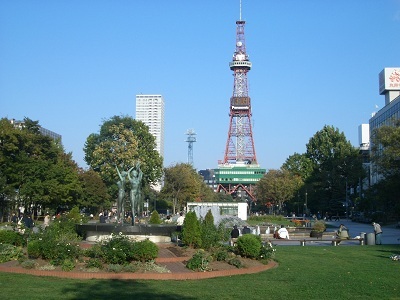 After living in Sapporo, Hokkaido for several years I have discovered soooo many things to do. It is a rare city in that it has four distinct seasons, winter being the longest(about 5 months). Every season there is a different festival going on. The snow festival in winter, the beer garden in summer, the Autumn Fest in autumn etc. The weather is perfect. It gets hot, but it's dry, unlike most parts of Japan, and in winter it gets cold, but not too cold, just cold enough to have big fluffy snow and a good down jacket is all you need. 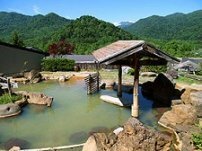 Then, there are the many onsens(hotsprings) in and around the city, the ski resorts with the best powder in the world, the beautiful parks. But, the best thing is the food. Sushi, Crab, Yakisoba, Nabe(hot pot), jingis khan(barbecued meat).....mmmmmm. Hokkaido seafood is the best in Japan, and maybe even the world. Crab is especially popular and should not be missed if you are a fan. I'm not a huge a fan of crab because it's so messy to eat and I've tried it a couple of times in other countries, but once I had it in this city it's now one of my favourite foods. The Chinese really love it. I went to one buffet restaurant and saw one Chinese family eat nothing but crab even though there was other stuff like sushi, tempura, steak, ramen etc. The table was piled with crab shells, an absolute mess. There are also many "made in Hokkaido" foods like soup curry(my favourite) and Zangi(fried chicken). Other foods that must not be missed when coming to Sapporo is ramen (Japenese noodles in soup), Ramen in miso soup is what this city is famous for. I love it! There are also literally hundreds of bars and restaurants. I have friends who have lived here all their lives and still have not been to every restaurant in the city! Take a tram to Moiwa mountain and view the beautiful city at night from the top, or rent a car and head to Niseko to hike Mount Yotei (Hokkaido`s Mount Fuji) or go camping and rafting in the summer. Whatever your hobbies are, there is something for you to do. If you want to get away from the busy city life, no problem. The country side and mountains are only a short train or car ride away. Heck, you can even see the mountains from the centre of town! In fact, the best and cheapest way to get around Japan is by JR Rail. For people visiting Japan there are rail passes that are heavily discounted. Unfortunately, residents of Japan don't get this deal, so make sure to take advantage of this great deal. So without further ado, please let me introduce, in my humble opinion, the best things to do in this awesome city. Enjoy!